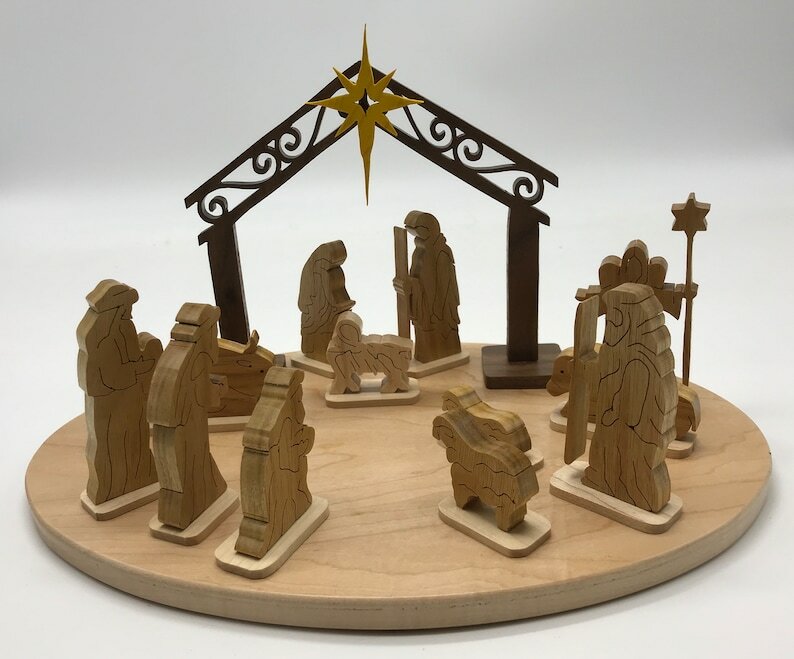 This beautiful 13-piece nativity is made from 1/8”, 1/4” and 3/8” hardwoods sprayed with a natural finish. The figures are hand cut with a scroll saw. The stable is 5 3/4" tall and made from 1/4" walnut, the Christ child is cut from 3/8" hard maple, the star is cut from 1/8" maple dyed yellow, the other figures are cut from 3/8" canary wood. The figures range in height from 3/4" - 3 1/2". The base is cut from 1/2" ash or maple (maple is shown).